To Create a Mental level awareness on cleanliness, hygiene and sanitation amongst people across India using bike ride as mode of communication by travelling city to city , village to village and organizing public talks. Making people aware of various available resources they can use. To trained 1000 girls across country on how to ride a motorcycle with safety, with an objectives to bringing a major shift in thought process of being Free, Independent and helping in conquering Fears. This will also leads to creates a gender balance and acceptance in society. 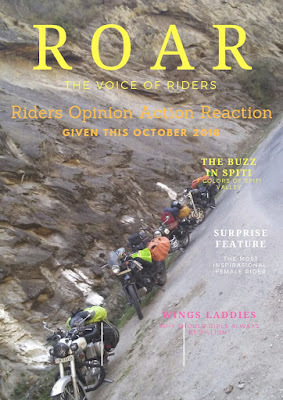 During the course of ride will also aim to create an awareness amongst all to increase acceptance level on women riding motorcycles and encourage them to ride on their day to day commuting activity.